Nintendo was the prime gaming console back in the late 80's and even during the mid 90's until Play Station and Xbox showed up and took away a large part of its market share. Today, PS and Xbox are the best in class gaming consoles without any doubt and for the past decade, Nintendo could not grab its market back from these two giants. But now it seems like Nintendo has still got some tricks up its sleeves and has come back in style with the announcement of its latest flagship gaming consoles the Nintendo Switch which is being launched on March 3rd 2017 worldwide. 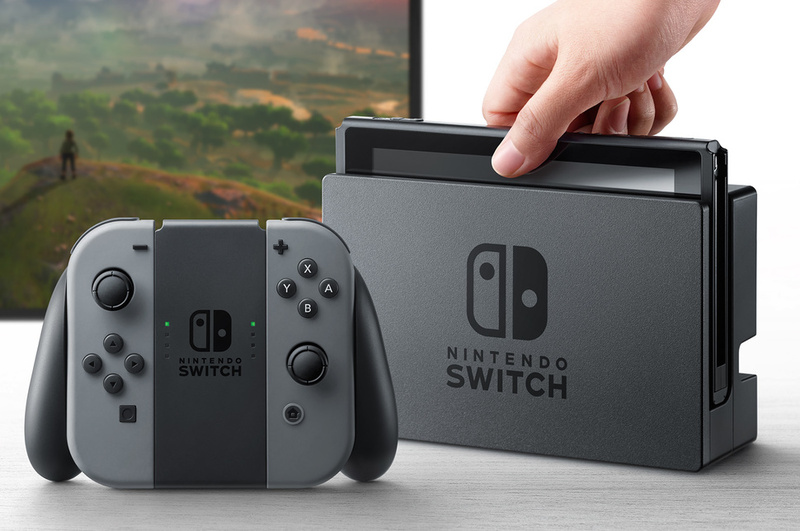 While the launch of Nintendo Switch is around the corner, there is a lot of buzz about its specs and capacity to run intense games. 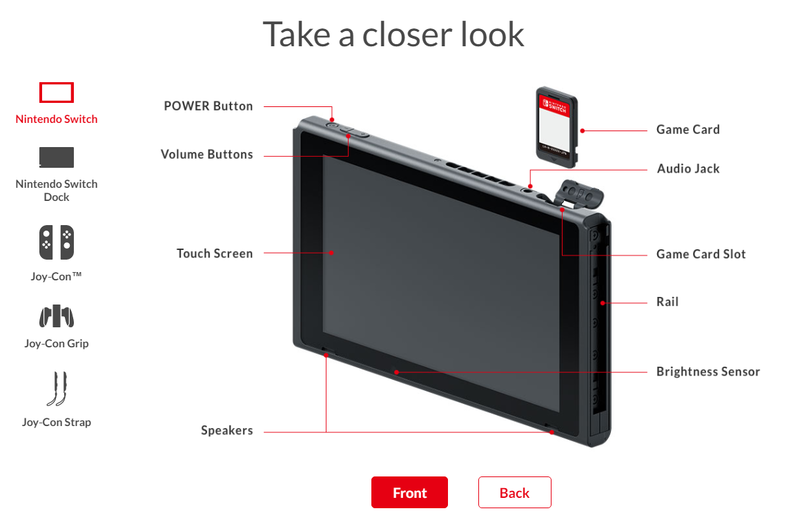 Lets look at the Nintendo switch in depth. Here is the best part about the latest gaming console in town. Its a convertible. Yes!! It can be used as a console that you plug into your TV or any big screen and and play it like you usually do or you can just pull it out and attach its controllers to its sides and you can also use it as a portable game console like PSP but much better than that. The most catchy thing about Nintendo Switch is its multi touch display, which is more or less like any other tablet in the market, but can support high graphic games unlike any other. This display is the core of the console which holds all the technical features and yet looks simple and elegant. YOU MAY ALSO LIKE : Play Original Nintendo Games In Your Mobile-Dream Come True!! One of the biggest selling points of the Nintendo Switch is its hybrid nature. It’s a tablet that’s fully portable, and also a home console that connects to your television. But what really makes it all work is the incredibly flexible and functional new controllers called Joy-Con. 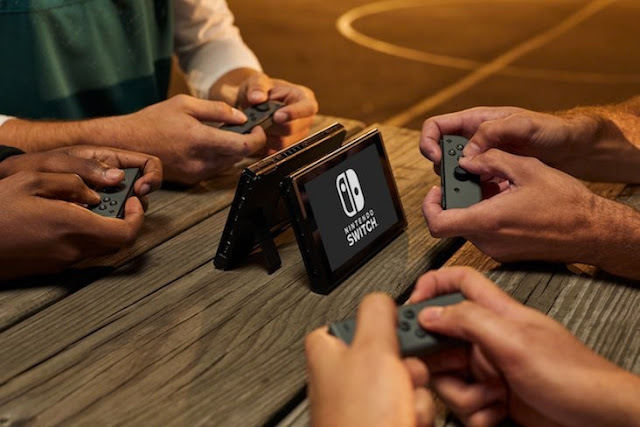 They are the glue that holds the entire Switch concept together, letting you play different kinds of games in different configurations without the need for a bunch of expensive add-ons. The best part is that they work well, and switching between one mode and the next is practically seamless. 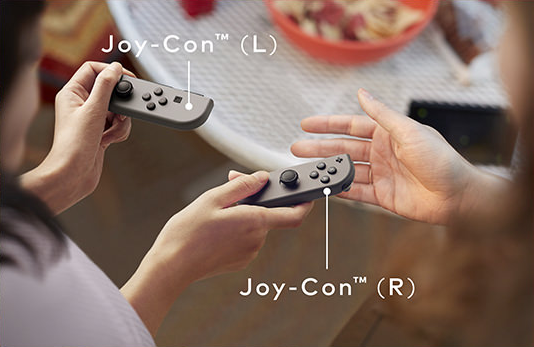 Each Switch comes with two of these tiny controllers — dubbed Joy-Con (L) and Joy-Con (R) — and they both include a variety of buttons, joysticks, and both motion control and vibration feedback. They can also be used in a number of configurations. 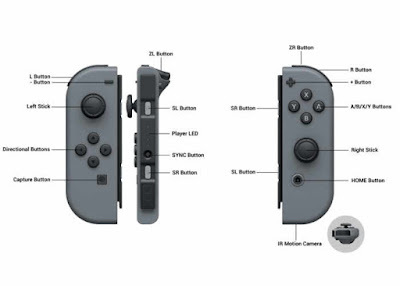 The Joy-Con also work as motion controllers, much like the Wii remote and nunchak combination, but without a cord holding them together. You can hold one in each hand, and they detect your movements so you can do things like punch other players in the new boxing game Arms. They actually feel more precise than Nintendo’s previous motion control options; in Arms, for instance, it can detect a straight punch versus one with a little curve. Well sadly, here's where Nintendo Switch fails to captivate us. Its on sheet specs consists of 6.2 inch 720 p ( 1280x720 ) display which also holds an Nvidia Tegra X1 chip and has an internal memory of 32 GB (Now that's a bummer 😕) which is totally out of sync compared to the current consoles like PS 4 and Xbox one that comes with 500 GB or 1 TB memory. However each and every game will come in small "GameCards" which may help alleviate the console’s onboard storage space by offloading most of the storage requirements for each game to the individual GameCards. And the internal memory can also be expanded by using SD cards. 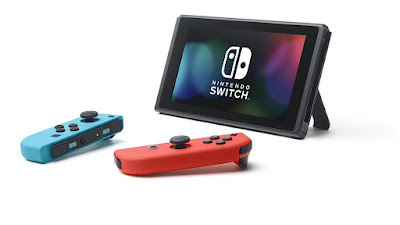 Nintendo is advertising between 2.5 and 6 hours of battery life for the Switch, depending on the graphical demands of the games being played. 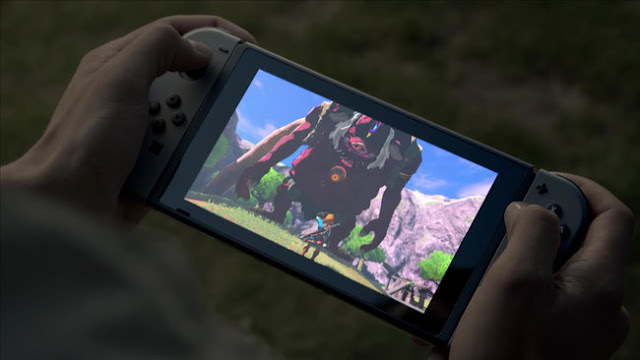 It’s hard to know exactly how that will translate on a game-by-game basis, but for reference, the company estimates around three hours of battery life while playing The Legend of Zelda: Breath of the Wild. But unlike other portable Nintendo consoles, the Switch uses a standard USB-C connection, making it easy to recharge on the go. 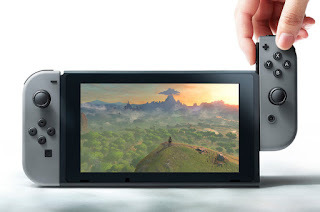 The Switch will have two speakers at the bottom and a 3.5mm headphone jack at the top. Nintendo switch also supports multiplayer gaming experience upto 8 players simultaneously which is kinda cool. And the best part is, this multiplayer set up does not need a lot of clumsy cords and large TV screen. You can set up a multiplayer game anywhere, in a coffee shop, in your college, you name it. This is a huge positive feature of Switch. Nintendo Switch is priced at $299 for the entry level console and goes up to $400 for the top end version. Its not the price that is disturbing, but its specs, which is not quite convincing for this price. A 32 Gb console is way too low for a gaming perspective and expandable storage is not a good substitute for a 500 GB console. But can it be the next big thing?? Probably yes, for its seamless portability and design. For performance?? FOr that, we may have to wait until 3rd March.